Are you ready to go back to the days of having recess? CASL Adult Co-Ed kickball is ready to start our summer season. The idea is to get outside, have some fun, meet new people, and take life a whole lot less serious. We want to get as many people playing as possible, so join as a full team, a small group, or as an individual "Free Agent". We will work on putting the teams together to make this a fun league for everyone. Keep in mind that this is a social kickball league sprinkled with friendly competition. If you are not laughing, then you are doing it wrong. Join as a Captain: Do you have a group of at least 8 that want to play in the league? Register as a Captain and you will be given tools to notify and recruit players to join your team. We will round out your minimum 10 player team with free agents. Join as a Team Player: Use this registration option if you are recruited by a Captain to join their team. Join as a Small Group or Free Agent: Do you want to join the league to meet new people on your own or as a smaller group? Use this option. If you are a small group, be sure to all use the same group name, so that we will know to put you on the same team.If you are an individual just join as a free agent and we will place you on a team. The fun doesn't end with the final out. 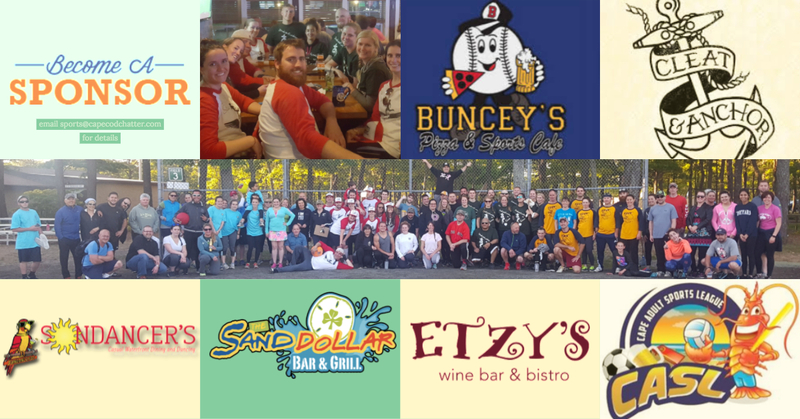 We have partnered with several local bars for some post-game socializing. The sponsor bars are kind enough to put out some complimentary food for our enjoyment. This way we can do some game analysis over a pint and some food. Sign up today and let's get this thing rolling. If you have any questions, comments, or suggestions, please do not hesitate to reach out to Shaun at sconway@capecodchatter.com or call 508-815-4033. 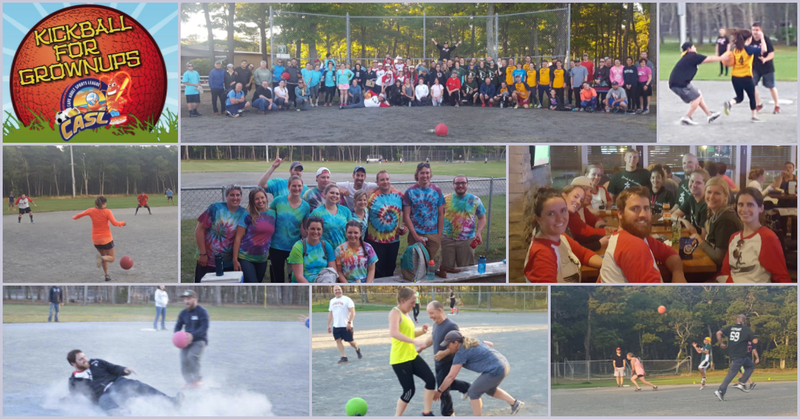 Check out this Kickball league 'CASL 2018 Summer Adult Co-Ed Kickball: Dennis' with CASL: Cape Adult Sports League!